747 Games App Earn Paytm Cash : Sign Up Get Rs 15 & Refer to Earn 15 Rs. 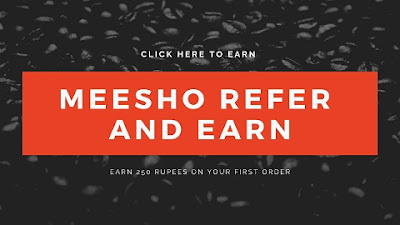 747 Games Refer and Earn Paytm Cash :- Signup on 747 Games App get Rs.15 and after this refer to your friends and earn extra referral bonus money to play simple game on 747 Games App. 747 Games App provides you simple Mathematics Addition,Subtraction games and earn real paytm money by giving answers for each levels. There'll be real people with whom you are going to compete. Means you have to be very quick to win the particular quiz. In 747 Games App all the winning trick is depending on your quickness and of course you have to give the right answers for the questions you'd be playing for with your opponents. "So Far i think 747 App is genuine after contacting to them as they have promised to clear the pending withdrawn as soon as possible. They have also promised to bring the Paytm wallet facility to credit your winning amount instantly"
On 747 Games App Refer and Earn, will say it's loot if you are fast enough to answer those simple questions with the minimum time limit than your competitor is going to take. If you are interested to sharpen your math addition, subtraction level then you should try this app. Moreover of this you can earn real paytm cash by playing these simple games based on the elementary mathematics quizzes. As we know that IPL fever is going to over soon and the new type of gaming fever is going to take lead and we are here to provide you Free Recharge tricks and Online Earning Tricks. So we are counting 747 Games App as a new paytm earning app to earn some real cash into your bank account. As 747 Games App also claims that "Do Simple math and Earn Real Money" So follow the below steps how you can earn on 747 Games App. First of all Download the 747 Games App From Here :-- Download 747 Games App. After this Install the app and Click on Sign Up Option. Now Enter your Name, Mobile Number etc details. After this Verify Your number with OTP. Finally, you'll be redirected to Home Page. As you know that you'll get the Sign up Bonus of 15 Rs. So you have to select a Bet amount of any game. Like 5 Rs, 10 Rs, 15 Rs etc. After selecting the bet for your game you'll be soon able to see the game question on your screen. You just have to calculate the right answer for that simple math question immediately within some seconds to be the winner of that game. If you'll be the winner then you'll be the 80% amount of your actual bet amount. Like if you have bet for 100 then you'll win 180 Rs. First click on Upper Left Three Bar Option. You'll se the Refer/Sign Up 15 Rs Bonus. Click on that option and you'll see various sharing option. After Every successful Referral you'll get instant Referral Bonus of 15 Rs. 1. First win any Simple game. 2. Now click on the three bar option on left upper side. 3. Select the Wallet Option. 4. Add your Bank Details or Paytm Number. 5. Click on Withdraw, Enter your amount and done.